In 2011 Joel and I went to the Wisconsin Sheep and Wool festival. We had not lived on the farm for very long and only had poultry and rabbits at the time. We knew we wanted some bigger animals such as goats or sheep, but were unsure what breed would best suit our needs. At the festival we saw many different breeds of sheep, including the breed we would end up raising: Shetlands. Its been four years since that festival and we have had three successful lambing seasons. I’ve come to love our breed very deeply, and try to improve upon the stock we currently own with each breeding season. 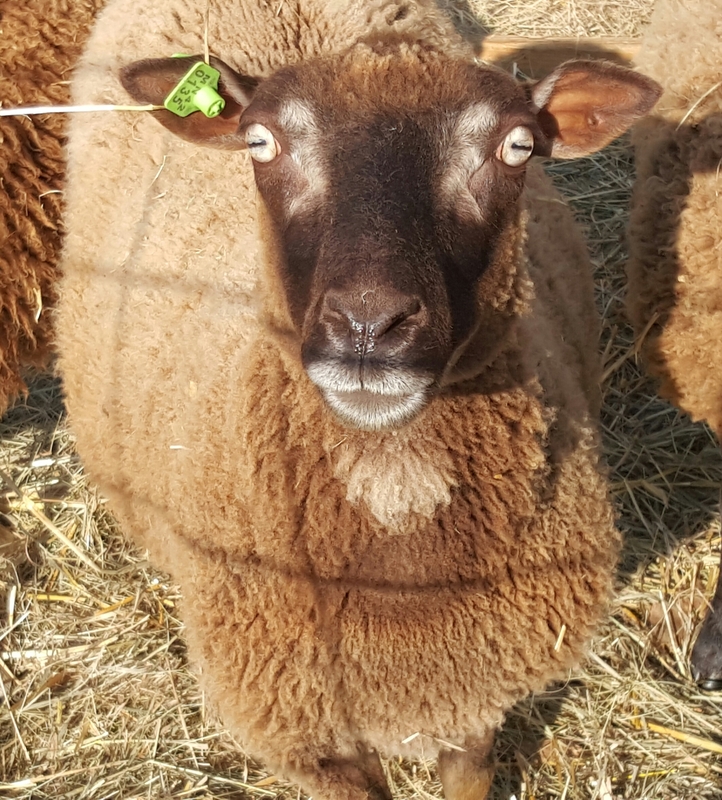 We are breeding for polled rams, fine fleece, good confirmation, pleasant temperament, good mothering abilities and strong parasite resistance. 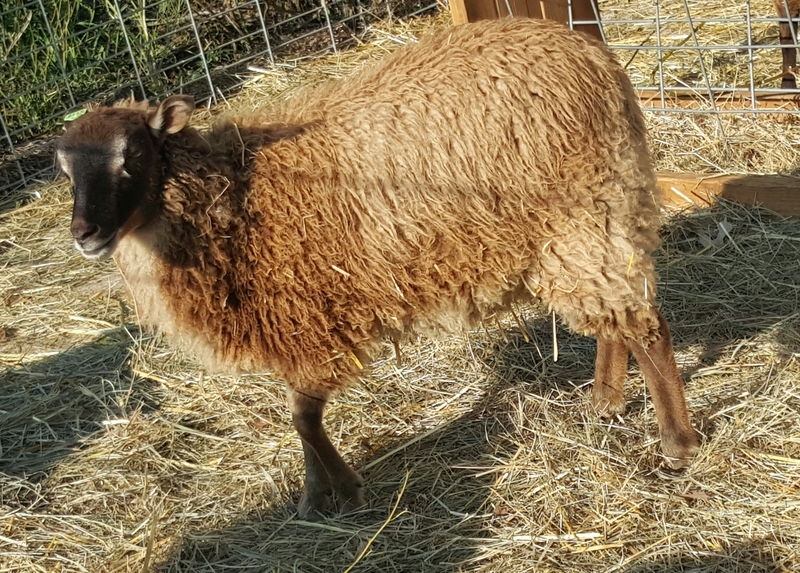 Here is Minnie, a moorit gulmoget. Joel started to feel sick while we were loading up the new sheep so we hurried home as we knew we would have an early start the next day. That morning Joel felt even more sick. We managed to get our show sheep loaded up and brought them to the show. My dad met us at the show. Joel was feeling so ill he drove my dad’s car home and my dad stayed on to help out. Our friends Cindy and Steve also came to help in and outside the ring so I wasn’t alone. I don’t know what I would have done without the three of them to help me! I am a lucky lady to have such wonderful friends and family! The order of classes in the show is senior ram, yearling ram, ram lamb, pair of ram lambs, champion ram, senior ewe, yearling ewe, ewe lamb, pair of ewe lambs, and then some other classes such as best fleece on the hoof, best small flock, dam and daughter and then the very last class that decides Supreme Champion and Reserve Supreme Champion. Our first class was yearling ram and I had Bruce. Bruce was excellent on the halter and walked at my side like a gentlemen. It was a small class with only two other rams in it, both of whom are stunning. I was feeling very intimidated, and I almost choked when Gilbert Mielke, our Scottish judge, handed me the first place ribbon. He shook my hand and I thought I was going to faint. Next up was the ram lamb class. We only had a few ram lambs this last season and I brought our favorite, Washburne. 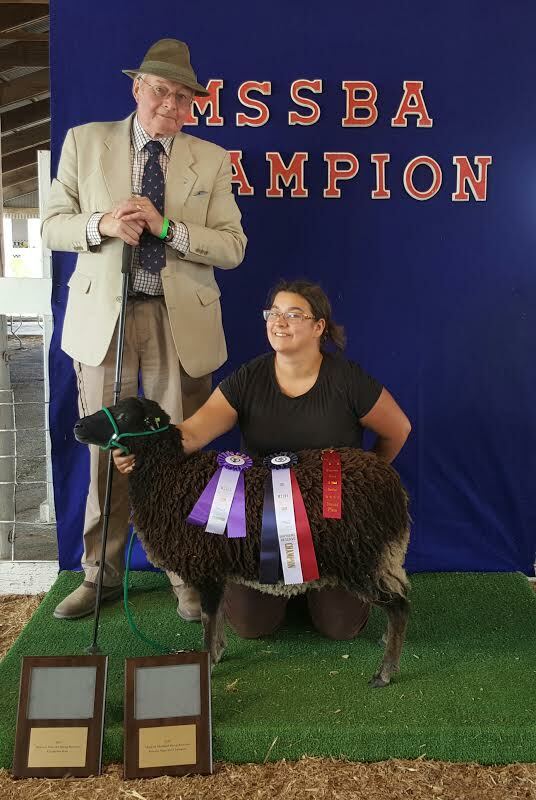 I believe there was a class of about 12-15 ram lambs and Wash got fourth place, earning him the chance to have his own breeding group this fall. Then there was pair of ram lambs and I had a quick break to give Wash to Cindy and Steve and grab Bruce again to compete for Champion ram. In champion ram the senior ram winner, yearling ram winner and ram lamb winner go back in the ring to compete against each other. Bruce won again, earning him the chance to compete for supreme champion. We got a rosette! And a plaque! 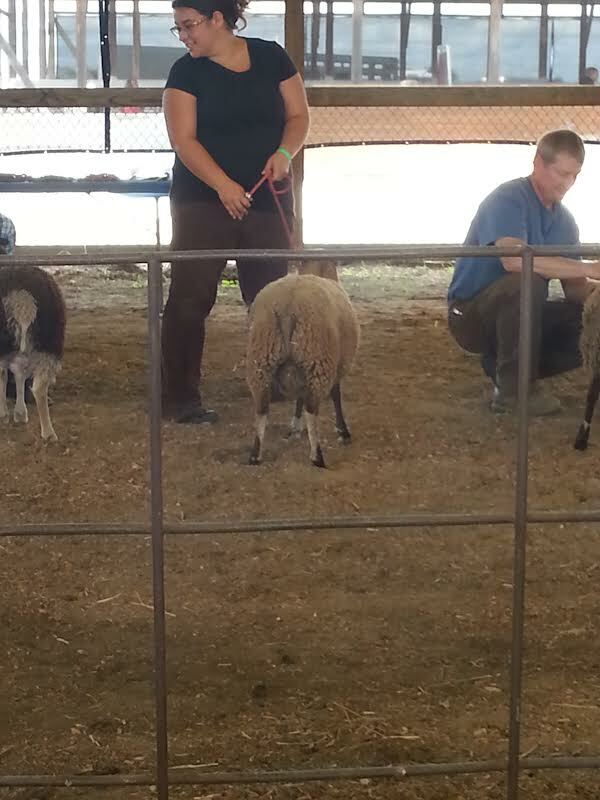 Our sheep have never even won a first place ribbon before so I was really over the moon and giddy at this point. 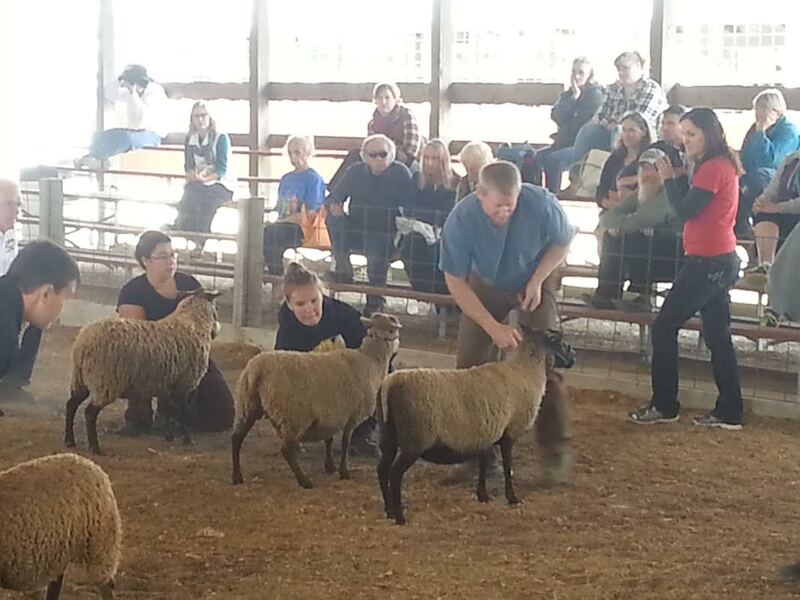 Right after this class was senior ewe and Cindy grabbed Ostara and I grabbed Cleo and Steve got Bruce put away. Cleo got third place. Cindy and I showed Gretel and Beatrice for yearling ewe and did not place. Bea almost head butted me in the face while I was holding her for the judge to examine her wool. The next class was ewe lamb, we had planned on Joel being there so we brought 4 lambs. Steve and I got Echo and Osceola in the ring and they both went nuts, throwing themselves on the ground and really acting foolish. Mindy slipped her halter before getting in the ring and Cindy caught her but not in time to get her in the ring. 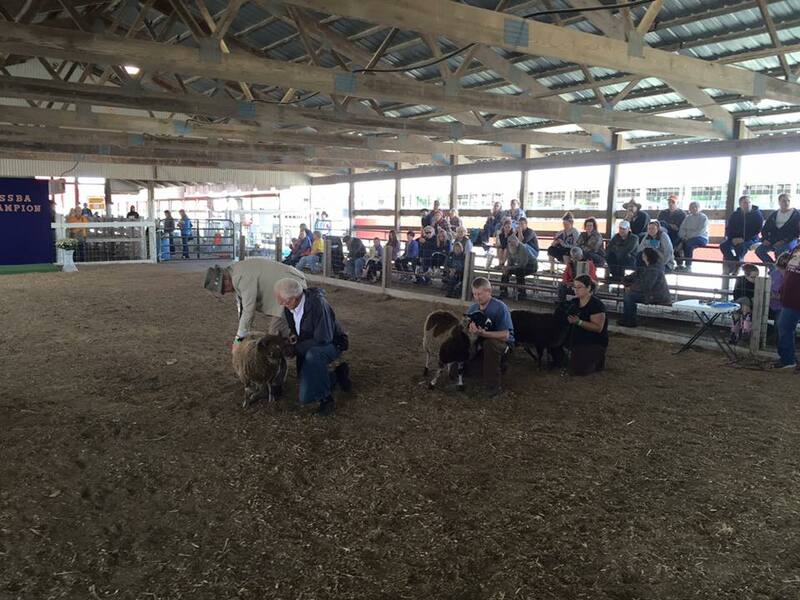 In my dad’s words, “good thing it isn’t an obedience contest!” We didn’t place in this class but Osceola and Echo did get second place pair of ewe lambs in the next class. I believe the next class we were in was Best Fleece on the Hoof in which Bruce won second place. 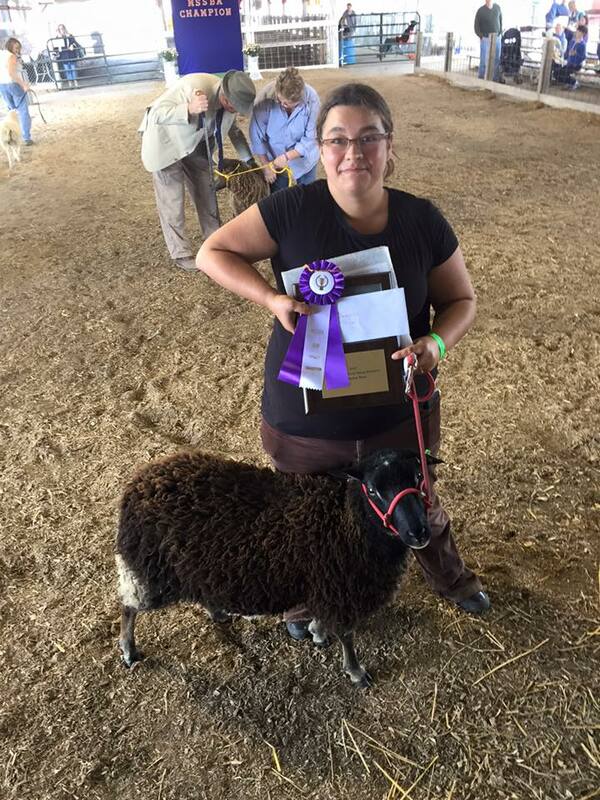 I took Raven to best colored, patterned or modified sheep and she didn’t place. After all the other classes were done they called the Champion ram (BRUCE!) and the Champion ewe, Sheltering Pines Salicional back into the ring. They told the reserve champion ram and ewe to be on stand by. Our judge looked at both Salicional and Bruce and then called the reserves back in. I thought for sure that meant we had not won. I was just excited we had made it so far! Salicional won Supreme Champion and Bruce was Reserve Champion. I was thrilled! This is our third time showing at Wisconsin Sheep and Wool and I didn’t anticipate this at all. 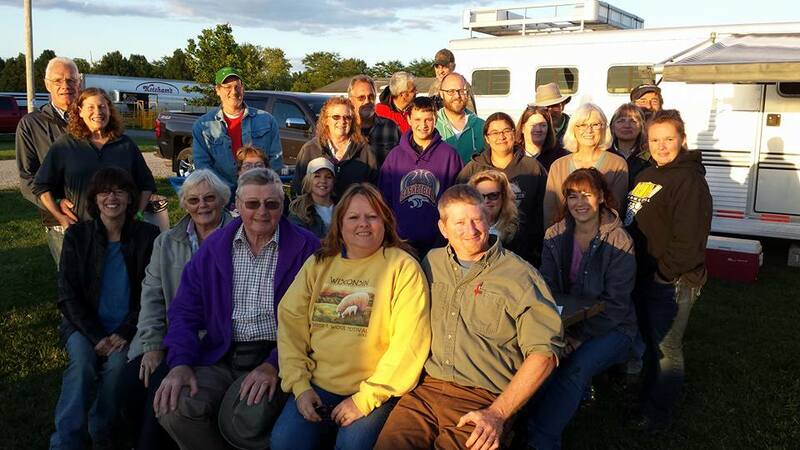 I am so grateful to our judges who came all the way from Scotland to judge our show and share their knowledge of the sheep we all love so much. I am honored that a UK judge and inspector sees so much potential in Emancipation Bruce. Gilbert Meikle(our judge) said Bruce was, “A superb ram with excellent wool and very true to type.” I could not possibly be more grateful. (Bruce might be a bit more grateful then I am when he finds out he is going to get so many more ewes this year). One of the best things about the Jefferson show is seeing old friends, making new friends, and enjoying time with other people that love the same things. This photo is (almost) all of us. I had an absolute blast. I could not possibly ask to be friends with a funnier, weirder(in a good way), kinder group of people. Watching everyone support each other, and cheer each other on was a thing of beauty. I can’t wait to see you all next year, and hopefully I will see some of you before that. 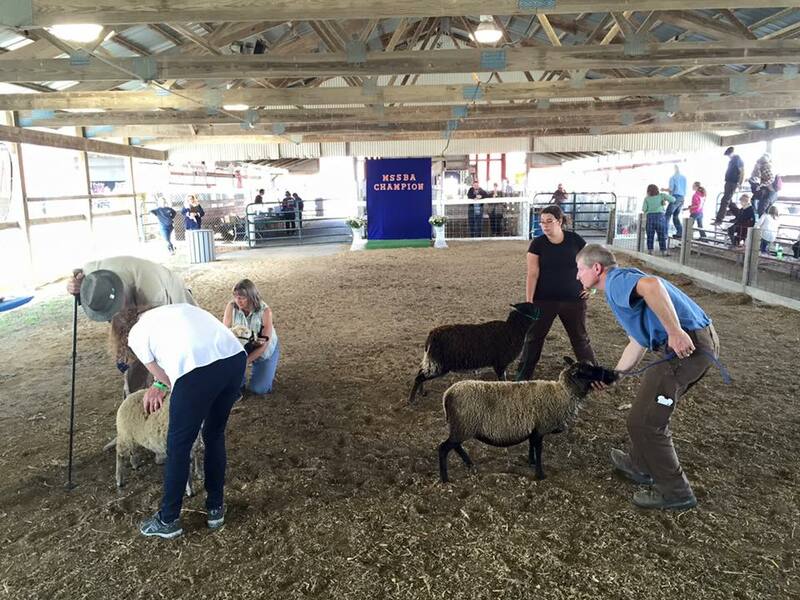 This entry was posted in lambs, Wisconsin Sheep and Wool and tagged Emancipation Bruce, gulmoget, lambs, sheep, Wisconsin Sheep and Wool. Bookmark the permalink.